The Peugeot 3008 is the French company's attempt at breaking into the premium car market. It’ll probably be unlike any other Peugeot you’ll ever have driven, as it offers levels of quality, style, and technology, not readily available in its class. In fact, it recently won the ‘Car of the Year’ category for Auto Express’ 2018 Driver Power survey, when it was named the best new car to own in Britain. So it’s certainly top of its class. But what class is that? Peugeot calls it an SUV (sport-utility vehicle), but in reality, it’s more like a crossover. It’s not big and capable off-road like an SUV, but it it does blend the lofty driving position of one with the comfort and frugality of a regular family car. From certain angles, the exterior of the car looks similar to more expensive and upmarket models such as the Range Rover Evoque or Jaguar F-Pace. Inside, there's more slick design with a dashboard that Peugeot calls i-Cockpit. Instead of dials behind the steering wheel, there's a screen that comes as standard, displaying a virtual speedometer and a range of information that you can choose, including a rev counter or sat-nav directions. All models have a touchscreen in the middle of the dashboard that responds to prodding as quickly as a decent smartphone. Apple CarPlay and Android Auto software comes as standard, enabling easy control of your phone apps, making sat-nav less necessary. The display sits above a row of chunky metal toggle switches that are nicely cool to the touch. You won't find such a hi-tech, luxurious interior in any of the 3008's close rivals, including the Nissan Qashqai, Skoda Karoq, Renault Kadjar and Kia Sportage. The soft-touch materials and sense of quality rival the Volkswagen Tiguan and Land Rover Discovery Sport - even the automatic gear lever wouldn't look out of place in a BMW. It is reflected in the price: the cheapest new car is advertised at more than £24,000, although new car discounts do reduce the cost. The Nissan Qashqai and Kia Sportage start at around £20,000, but these entry-level cars are nowhere near as well equipped as the cheapest Peugeot. For the price of more expensive 3008 models, you could have an Audi Q3 or BMW X1 and the Peugeot doesn't quite match their standard - there are a few cheap-feeling switches towards the bottom of the dashboard, and some dashboard fittings didn't line up with the door trims as they should have done on one of the cars that we tested. Strong demand means that used models don't yet represent a true bargain. The cheapest cars on BuyaCar start at £8,490 or from £136 per month on finance. The 3008 has been designed for relaxing driving. It's comfortable, smooth and quiet on motorway journeys, remaining steady if you turn into corners quickly without too much leaning. Despite its size, it feels nimble because the 3008 changes direction sharply - that sense is enhanced by the small steering wheel, which is meant to make the car feel more agile. The set-up gives you a sense of confidence that you're completely in control, even if the light steering feels a bit disconnected from the front wheels. Most drivers won't find it an issue in a family car, but the Mazda CX-5, Seat Ateca and Mini Countryman give you more of a feel of how much the front wheels are turning, and how much grip they have, which makes them more fun to drive and enables you to corner with extra precision. Despite its chunky looks, the 3008 doesn't come with four-wheel drive because it's not designed for tough off-roading. That will change when Peugeot introduces a plug-in hybrid version in late 2019. it will include a battery that can be charged up to provide several miles of electric driving, and the system will also power all four wheels. Until then, buyers looking for extra grip will have to make do with the 3008's 'grip control' technology, which can help prevent the wheels slipping on low-grip surfaces, such as ice, snow or mud. It's effective at preventing the wheels spinning in a wet field or on a snowy road, and is likely to be all that most drivers will need, even though it's not quite as effective as proper four-wheel drive. Inside, the car is as practical as a big 4x4, though, with plenty of space for two large adults to sit in the back. The 591-litre boot is what you'd expect of a crossover this size, and considerably larger than the 430 litres in the Nissan Qashqai. An adjustable shelf allows you to create an underfloor compartment. Fold the seats down with the pull of a lever and there’s 1670 litres to play with. For more space, the Peugeot 5008 is a larger version of this car, with seven seats. The best engine if you’re a low-mileage driver, is the 1.2-litre petrol. It’s smooth, eager, economical and inexpensive. If your driving takes you further afield, then the more economical 1.5-litre diesel with 130 horsepower would suit you better, as it’s fairly quiet and powerful enough to allow you to glide around with the rest of the traffic. The car was awarded the full five stars by Euro NCAP and standard safety features include automatic emergency braking, rear parking sensors and Lane Departure Assist, as well as Isofix points for safely mounting child seats in two rear seats and the front passenger seat. 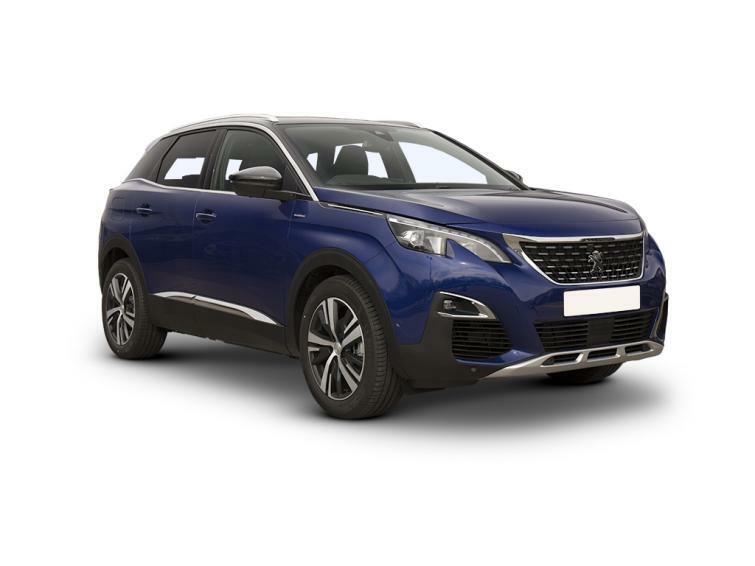 The 1.5-litre diesel 3008 with an automatic gearbox comfortably takes the honours as the most economical offering in the 3008 line-up, though if you can’t bear to plump for a diesel, the 1.2-litre PureTech petrol also delivers decent fuel economy. Plenty of standard equipment means entry-level Active doesn't feel like a budget choice. This is where the 1.5 BlueHDi 130 shines. It offers a family friendly blend of power and economy, while Allure trim includes a reversing camera, front and rear parking sensors, and sat-nav. This powerful diesel engine shows just how far diesel engines have come in terms of outright performance. Its in-gear acceleration, as opposed to the traditional 0-60mph measure, is outstanding. With such a strong diesel in the range (the 2.0 BlueHDi 180) it’s no surprise this thirsty petrol is relegated to ‘One to avoid’. It might be as quick from 0-60mph it's left wanting when accelerating from higher speeds. September 2018 Range updated, with 100hp, 120hp and 150hp diesel options dropped, and 130hp 1.5 BlueHDi diesel introduced. 1.6-litre petrol updated with more power and improved economy. Eight-speed automatic replaces old six-speed gearbox. This indicates the level of standard equipment you can expect to find in the car. There are four trim levels ranging from ‘basic’ Active, through Allure and GT-Line to GT. Peugeot 3008 engines are identified by their size in litres (here it's 1.5). The most efficient petrol engines are badged PureTech. Other petrol cars have the e-THP label. Diesel engines are called BlueHDi. The next number (120 in this example) is the engine's horsepower. S&S stands for stop and start, an automatic system that switches off the engine at traffic lights, for example, then restarts it to move off. The 3008 has a manual gearbox with six gears as standard but there’s an optional automatic gearbox available, too, called the EAT8 (Efficient Automatic Transmission 8). The 1.2 PureTech 130 is the cheapest engine in the 3008 range but the most rewarding to drive because it remains smooth, even when revved. It's turbocharged, which provides extra power that makes the engine feel bigger, without having a devastating impact on fuel economy. You're unlikely to come close to the unrealistic official fuel economy figure of 53.3mpg, but real-world efficiency is around 40mpg, which is impressive for a crossover. If you’re a low-mileage driver or your budget is tight, it’s the obvious choice. This 1.2 makes it hard to make a case for the larger 1.6 petrol. It's more powerful and noticeably faster to accelerate but you can only specify it with the automatic gearbox, which just makes it even more expensive. Of the diesels, the 1.5 BlueHDi 130 is excellent. It pulls well, it’s economical and cheap to tax, and it’s available with a manual or automatic gearbox. Once again, abandon all hope of achieving the official fuel economy figure of up to 71mpg; the real-world figure is closer to 50mpg, according to the Equa Index, which estimates fuel economy in normal driving, based in public road testing. Despite this disparity, this makes it one of the most economical crossovers on the market. The larger 2.0 BlueHDi 180 diesel engine, is a lot more powerful. It’s a great choice if you regularly travel fully loaded or cover lots of motorway miles. Real-world economy of almost 46mpg is only average, though. The 3008 line-up begins with Active trim. This has the virtual iCockpit with a 12.3-inch high-definition instrument display and 8in dashboard screen, which includes Apple Carplay and Android Auto software. There's also 17in alloy wheels, climate control, automatic headlights and windscreen wipers, rear parking sensors, cruise control and a speed limiter. Safety equipment includes automatic emergency braking and an alert if the car drifts out of its lane. Allure cars cost almost £2,000 more when new, and add 18in alloy wheels, a reversing camera, front parking sensors, power folding door mirrors and blue ambient lighting. These cars also include sat-nav, which might seem of little use, given that you can display your Android or Apple mapping apps on any 3008 dashboard screen. However, the Peugeot system also displays directions in the screen behind the steering wheel, making them easier to follow. Extra safety equipment includes a blind spot alert and steering that will nudge the car back on track if it drifts out of its lane. Another £1,000 brings GT Line Premium specification, with keyless entry and start, front heated seats with massage function and a motorised bootlid that can be opened by poking your foot under the rear bumper. Expensive, top-spec GT trim tips the 3008 uncomfortably into premium-badge territory with 19in alloy wheels, oak veneers, nappa leather, a panoramic glass roof and adaptive cruise control that adjusts the car's speed to maintain a safe distance from any vehicle in front. For the price, you could afford a BMW or Audi. According to the 2018 Driver Power owner satisfaction survey, the Peugeot 3008 is Britain's best car to own - and by some margin too. Owners were particularly fond of the way it looks and its build quality. Particularly, it fairs well in interior quality and comfort, and the amount of safety features it has on it. Only 11 per cent of owners surveyed reported a fault, with electrical items probably to blame if a 3008 experiences any faults. The new 3008 feels even better-built than the 308 it shares parts with, and if it does go wrong you'll be protected in the first three years by the car's standard warranty. The first brand new Peugeot 3008s arrived in Britain at the beginning of 2017, so there are already plenty of used models to choose from. Demand is high, though, so prices are still relatively high. The cheapest models start at £8,490 on BuyaCar, with finance costing from £136 per month. Diesel models are most common and least expensive. Most are fitted with the 1.6-litre diesel engine with 120 horsepower, which was replaced by a newer and slightly more powerful 1.5-litre engine. Performance and fuel economy are similar, so you're not missing out on much by opting for the older engine. Petrol models cost from £17,412 or £218 per month.